Asymptomatic malaria occurs when parasites are present in an individual's blood but do not cause fever or other symptoms. These "afebrile" infections can be detected either by classical diagnosis tests (if there are enough parasites in blood) or by molecular amplification techniques (if there are very few). Individuals that are infected but present no symptoms do not tend to seek health care, and therefore are not diagnosed or treated. However, there is a concern that they serve as parasite reservoirs and contribute to maintain its transmission in communities aiming at malaria elimination. To better understand the natural dynamics of these asymptomatic infections and the risk they pose for elimination efforts, the authors performed a follow-up study of adults infected by P. falciparum but with no symptoms. 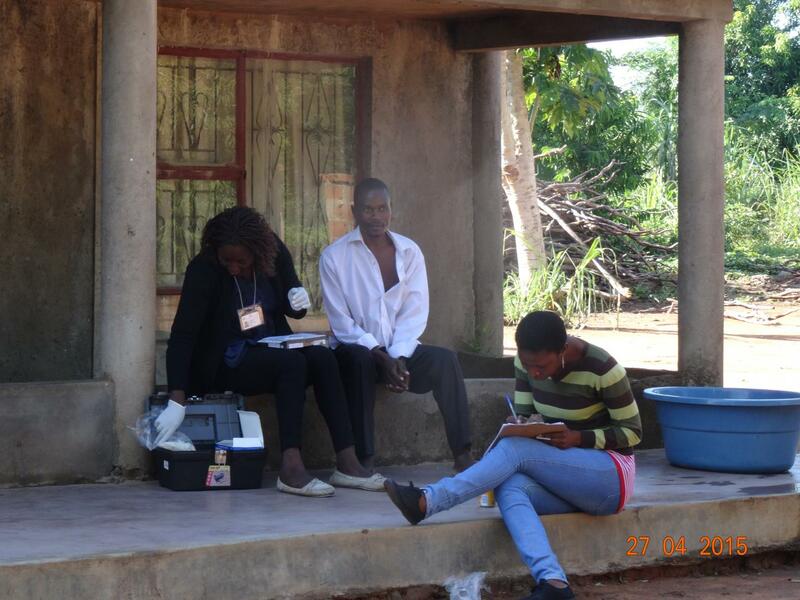 To find them, they visited different households in the Manhiça district, in southern Mozambique. They recruited 32 "healthy" men that were positive by a classical rapid diagnostic test (RDT) and followed them during 28 days (with blood samples at days 1,2,3,7, 14 and 28) after which they were given treatment. The results show that parasitaemia (i.e. parasite density in the blood) falls considerably within the first four days to levels that are no longer detectable by microscopy or RDT. However, most individuals remained with low parasite levels at day 28 (detectable by molecular techniques). "These results indicate that individuals living in endemic areas and that have acquired a certain immunity against the parasite manage to rapidly control the infection even if they cannot clear the parasite completely", explains Beatriz Galatas, lead author of the study. "This suggests that the time window during which asymptomatic individuals contribute to parasite transmission could be relatively short", she adds. The authors conclude that a better understanding of afebrile infections will help design and implement the most adequate community strategies for that "last mile" in malaria elimination.